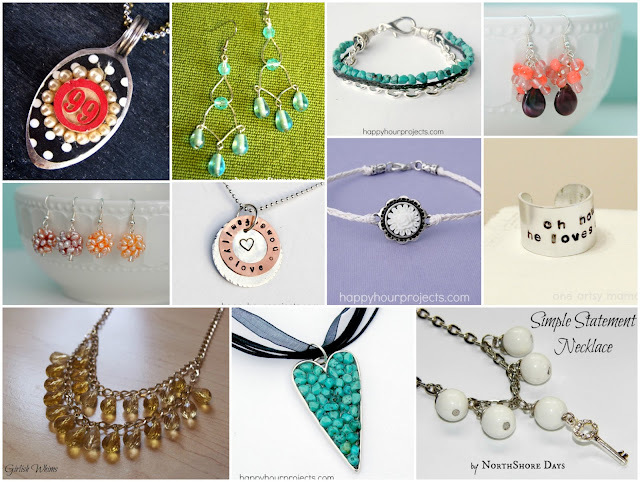 Did you see all the amazing handmade jewelry from Spring Bling Week. I am so blown away by these ladies! 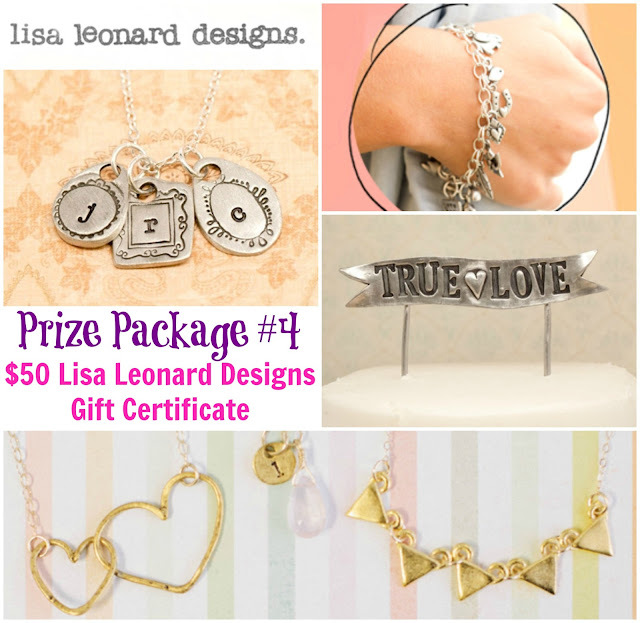 including a $50 credit for a Lisa Leonard Design! But first let's take a look at the beautiful pieces that have been created this week! 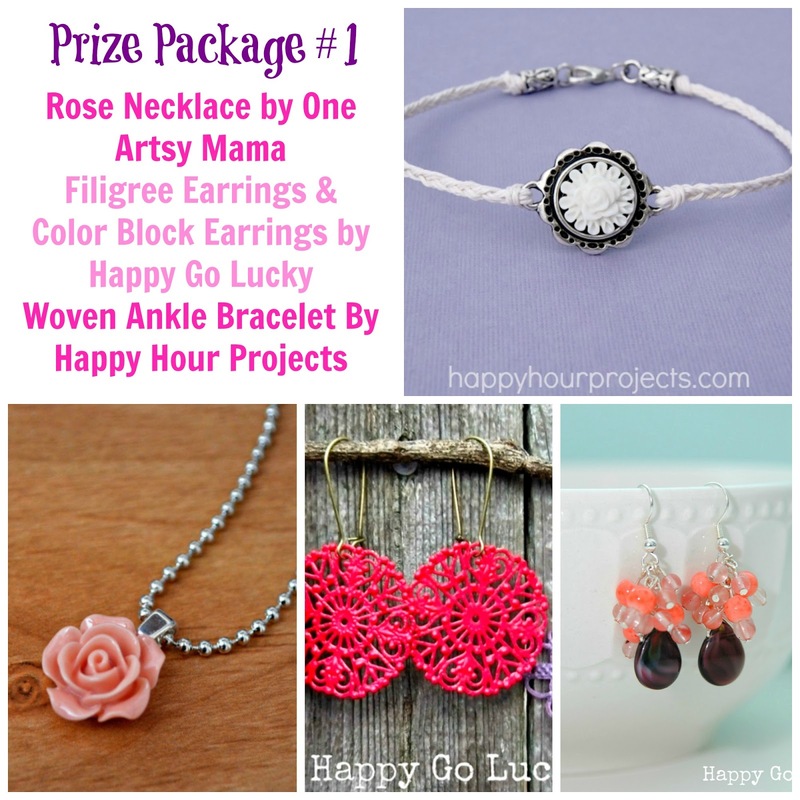 The winner of prize package #1 will receive a woven ankle bracelet, a rose necklace- the winner can choose from ivory, gray, peach, pink, or turquoise for the rose, a pair of filigree earrings in winner's choice of color, and a pair of color block earrings. The winner of prize package #2 will receive a bingo marker spoon pendant - winner can choose any number between #1-98, a pair of beaded wired earrings, a pearl ring and a simple statement necklace. 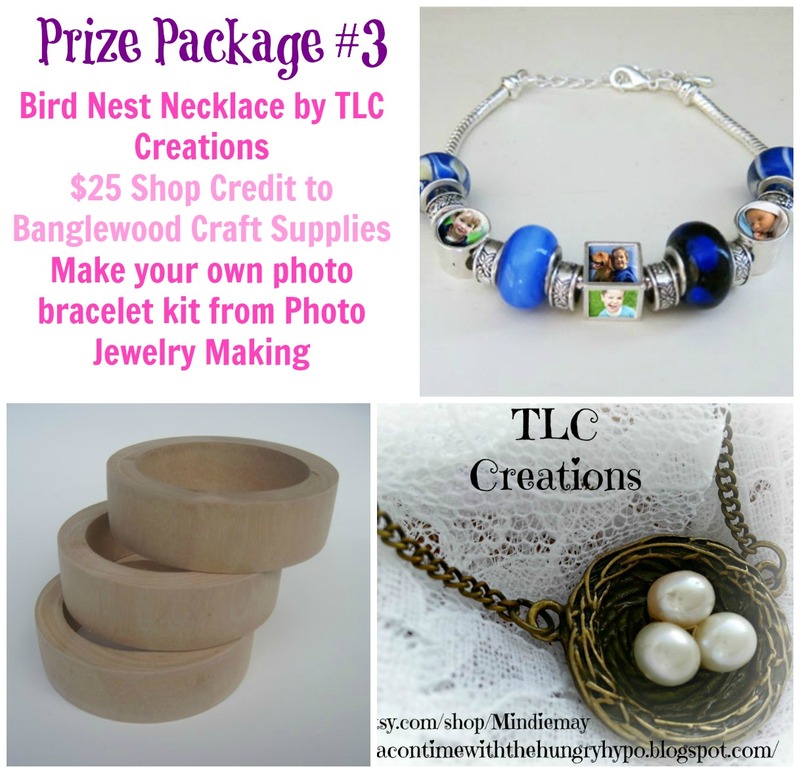 The winner of prize package will receive a bird nest necklace by TLC Creations, $25 shop credit to Bangle Wood Crafts, and photo bracelet kit from Photo Jewelry Making. Hurry on up and enter to win some great handmade jewelry! Holly, this jewelry is all so pretty. 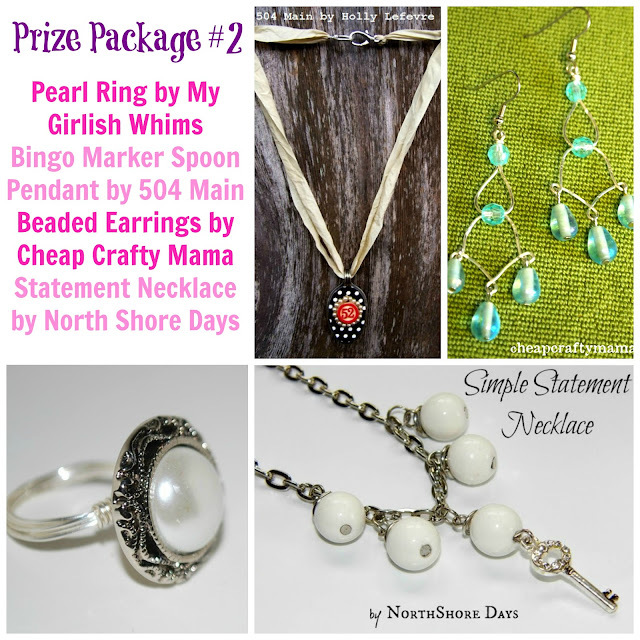 I really like the Bingo and Spoon necklace and the silver ring is also great. 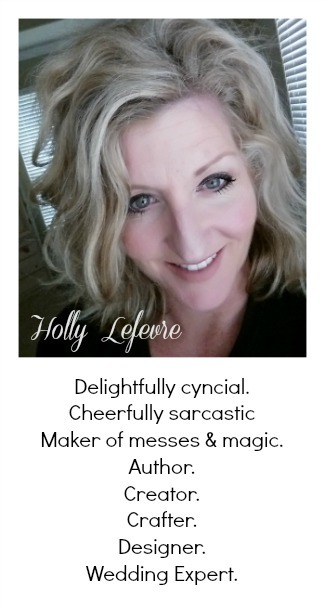 My husband gave me a spoon ring close to 40 yrs.ago and I still wear it and love it today. Over the years, I had a hard time getting it back from them as they love it too. Some things just never go out of fashion or get old. Thanks for sharing these finds with us!